Leaves the skin supple and fragrant. A light fresh blend to moisturize and condition the skin. 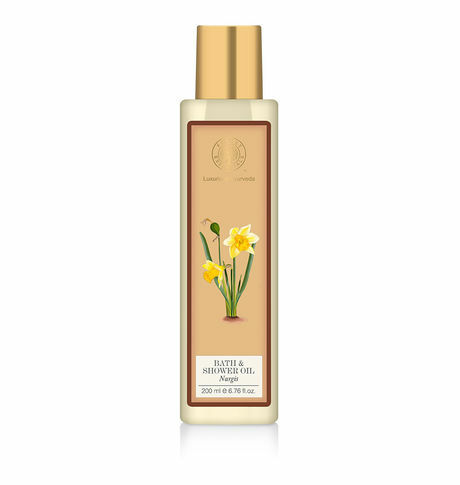 The fragrance is fresh Nargis flower scented, leaving the skin supple and fragrant. This Moisture Replenishing Bath & Shower Water soluble oil, include pure, naturally distilled essential oils, in organically grown cold-pressed base oils, derived from a variety of plants, fruits and nuts to leave your skin supple, silky smooth and beautifully hydrated. Each sensual blend not only treats the skin in a specific way but also leaves it lightly fragranced.